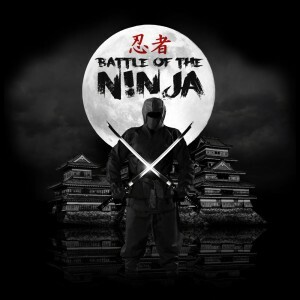 This December 2013, Lock Poker is hosting the Battle of the Ninja, a month long leaderboard competition with more than $10,000 guaranteed in prizes. Every day in December, Lock Poker will randomly award as many as 35 cash prizes to players chosen from a pool of qualifiers. In order to qualify for these daily random drawings, you need only complete the day’s achievement. Achievements, in Lock Poker’s Battle of the Ninja, are tasks to accomplish in order to qualify for a chance at a prize. Play from $50 to $100 in rake and fees in one day and get a shot at a $2.50 prize. Play from $100 to $250 in rake and fees in one day and get a shot at a $5 prize. Play from $250 or more in rake and fees in one day and get a shot at a $20 prize. There are 3 of each of these prizes awarded each day. You can also earn bonus prizes, as follows: get $2.50 for playing in raked hands for 7 days consecutively, get $5 for playing in raked hands 14 days in a row, or get $20 for playing in raked hands every day of the month. These prizes are on top of the regular prizes, and a 5 of each of them will be awarded daily. To start yourself on the path toward your share of up to $10,000 in prizes, make a deposit into your real money Lock Poker account using the promo code NINJA. That will give you a 150% bonus of up to $2,000 maximum. Then play with that money on the Lock Poker cash tables and SNG tournaments, moving up the leaderboard as you do so. In addition to daily prizes, at the end of the month the top 30 players on the cash game leaderboard and the SNG leaderboard will earn an automatic entry into one of two different exclusive Ninja tournaments, each featuring more than $5,000 guaranteed in prizes.